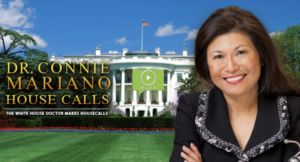 Dr. Julie loved being a return guest on former White House Physician, Dr. Connie Mariano’s, radio show, “House Calls.” They had a great fun discussing how to create a meaning holiday, how to practice gratitude, and how to leave the “4-letter word” (i.e., D-I-E-T), behind this season for a truly joyous holiday. Dr. Julie T. Anné, C0-Founder and Clinical Director at TheHealthyWeighOut in Scottsdale, talks with Arizona Daily Mix about how parents can effectively support their children in the aftermath of experiencing “body-bullying” and body shaming by their peers. 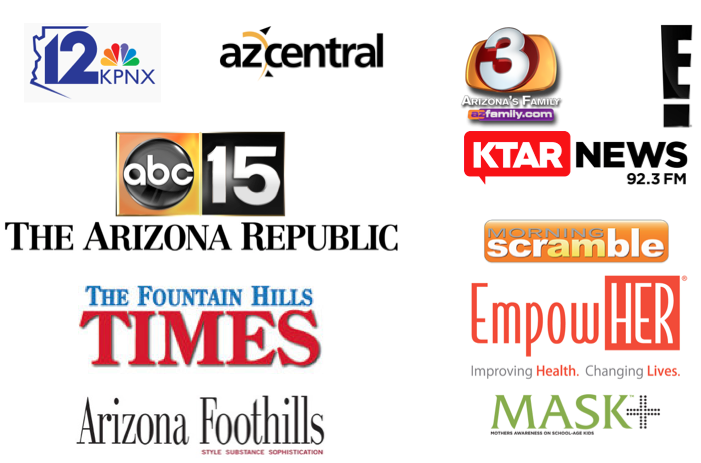 TheHealthyWeighOut was featured on 3TV Phoenix showcasing our innovative and effective Emotional & Binge Eating Program! Olivia Fierro did an outstanding job conveying the importance of getting to the emotional root of WHY people compulsively overeat. We are grateful for her enthusiasm and true understanding of our program. 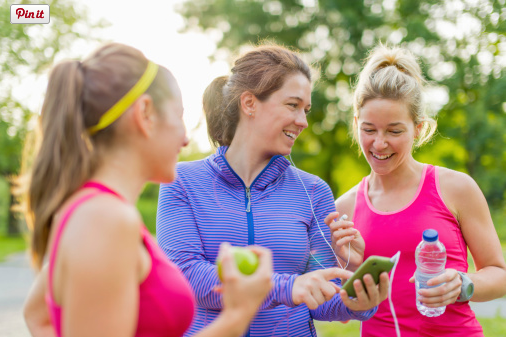 Dr. Julie T. Anné, Co-Founder of TheHealthyWeighOut, talks with Arizona Daily Mix about the negative effects of body shaming and what parents can do to help their children (both girls and boys!) feel body confident. TheHealthyWeighOut’s Program Co-Founder, Dr. Julie T. Anné, was featured on 3TV Phoenix to share HOPE that full recovery happens at A New Beginning! 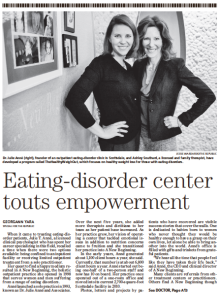 During National Eating Disorder Awareness Week this story was especially powerful and touching. Which legacy will you be leaving your daughter? “The Gift” of a positive body-image or “The Struggle” of never feeling satisfied with your body and weight? Got a daughter? 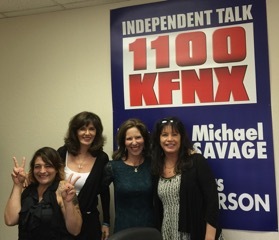 Please listen to this KTAR News pre-Mother’s Day interview on The Bruce St. James & Pamela Hughes Show. Dr. Ashley Southard was invited to serve as a mental health expert ​in a documentary about PTSD; the film was produced by advanced students from ASU’s Walter Cronkite School of Journalism. Dr. Julie T. Anné was invited to talk with Olivia Fierro on Channel 3 about how to reject body shame, both within yourself and our society. Thank you so much wonderful Bruce St. James for sharing so much of your personal story with weight issues and body shame during Dr. Julie T. Anné’s recent interview on The Bruce St. James & Pamela Hughes Show. Your candor and openness surely helped listeners feel “not alone” in their struggles with body shaming. It’s National Eating Disorder Awareness Week and Dr. Julie talks with Pat McMahon at aztv7 about the warning signs of eating disorders. Dr. Julie T. Anné talks about the ever-growing number of “late in life” eating disorders affecting both men and women. 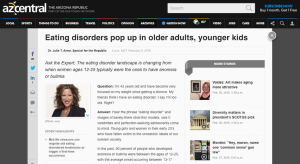 Read azcentral “Ask the Expert” to learn more about older adults and eating disorders, and how to effectively treat them. 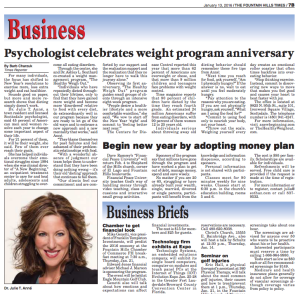 Dr. Julie and Dr. Ashley were featured in The Fountain Hills Times to celebrate the 1-year anniversary of their innovative Emotional Eating program, TheHealthyWeighOut. BETTER THAN SPANX! It’s a New Year and time for a New Approach! 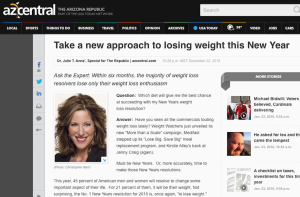 Dr. Julie talks with AZ Morning Scramble about the importance of letting go of harmful New Year’s diets and, instead, how to develop a healthy approach to food and your body that helps you manage your eating and weight in a healthy, sustainable way. Anchor Danielle joked, “All I need is a good pair of spanx!” and Dr. Julie replied, “You are already beautiful… because you shine from the inside out!” Watch the full clip here. Dr. Julie was interviewed for the article, “How to Have a Positive Self-Image in the New Year” in the Arizona Foothills Magazine. To read the full article, please click here. THROW AWAY THE SCALE! That was Dr. Julie’s advice to Scott Pasmore and the AZFamily 3TV Team! Want healthier, non-disordered weight management in 2016? Watch this clip to learn how. Dr. Julie T. Anné breaks it down into 5 easy steps on Channel 3. Dr. Julie T. Anné really enjoyed speaking with Lisa on a special holiday episode of Morning Scramble AZ-TV. The topic was, “How parents’ negative comments about appearance and body image can have a lasting effect on their children.” Missed the show? To watch the full interview, please click here. Tired of hearing about New Year’s weight loss resolutions that result in nothing but disappointment – and create even MORE problematic eating behavior? Dr. Julie T. Anné offers a new, effective approach to achieving the healthier self you desire in 2016. New Year? How about trying this New Approach! Read azcentral “Ask the Expert” to learn how! If you’re like most parents, you want to do whatever you can to boost your child’s self-esteem and prevent body image issues in the future. Dr. Julie T. Anné provides great tips for parents about how to effectively navigate appearance-focused issues with your children. Read azcentral “Ask the Expert” to learn how! 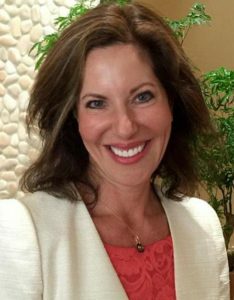 Dr. Julie T. Anné was invited to speak with a new radio show, The Mothers, about how to raise children with healthy body image. This radio show, hosted by four moms, is dedicated to addressing a variety of issues faced by moms from all walks of life, including how to prevent eating disorders and promote a positive relationship with one’s body . As always, we value the opportunity to contribute to our community! Click here to listen to the radio interview. Marta Malloy and Dr. Ashley Southard were invited to write an article for AZ Foothills Magazine titled, “How to Enjoy Working Out.” We are grateful for the opportunity to spread our message that no matter your health goals, having FUN and listening to (and respecting) your body is a must! 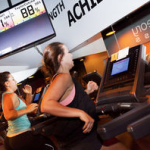 Arizona Health and Living (East Edition) featured TheHealthyWeighOut and A New Beginning, showcasing our passion for empowering people to take control of their lives in healthy, responsible ways. 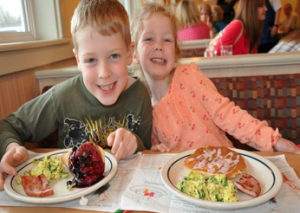 Our skillful registered dietitian, Kristine Sinner, was invited to write an article for North Phoenix Family titled, “Healthy Restaurant Eating for Kids.” She provides great suggestions for busy families on the go who want to nourish their children with healthy, budget-friendly restaurant meals. 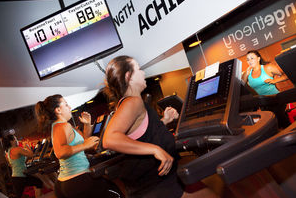 TheHealthyWeighOut and A New Beginning were recently featured in the Arizona Republic – we love that they captured the heart and passion behind A New Beginning and TheHealthyWeighOut! Dr. Julie T. Anné, Dr. Ashley Southard, and Marta Malloy had a great time on NBC 12 talking about the importance of working out with a friend or in a small group to help you stick with an exercise routine that is fun and effective. We also introduced the concept of “Intuitive Exercise” – movement that is fun, flexible, and based on how your body is feeling and what it is needing…much like “Intuitive Eating.” Click here to watch the segment. 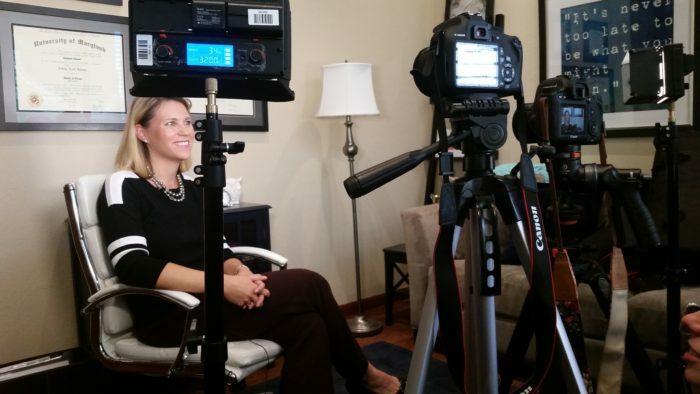 Dr. Julie T. Anné, co-creator of TheHealthyWeighOut, spoke with Lisa from Morning Scramble AZ-TV on December 18, 2014, about how to leave chronic dieting behind in 2014 and find TheHealthyWeighOut in 2015! Click here to watch to the interview.